Welcome to Tamahere, a rural lifestyle community in the Waikato, North Island, New Zealand. Tamahere is a vibrant community now and also has a rich history. Read on for the story of a fascinating district and its even more fascinating, and often highly influential, characters. First, some facts on Tamahere today. Tamahere is a rapidly growing community in the Waikato district on the southern outskirts of Hamilton city. People tend to live in Tamahere because the area offers a rural lifestyle with space, tranquility and low-density living and the convenience of nearby city, commercial, recreational and social services. The Waikato District Council’s Tamahere ward is represented by Councillor Aksel Bech and the Tamahere Community Committee. Much social activity centres around Tamahere School, a State primary school (Decile 10), the Tamahere Community Centre (hall for hire), and St Stephen’s Anglican Church. Next to the school and centre grounds are tennis courts and sports fields, and a Playcentre (parent run pre-school). A pre-school childcare centre is also nearby as is a Montessori Education Centre. 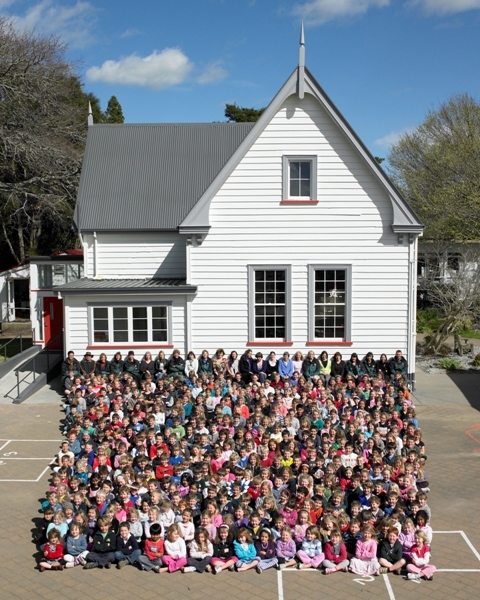 Click for information about Tamahere School, including enrolment details. The Tamahere Playcentre is next to Tamahere School at 57 Devine Rd. It offers a friendly, caring and fun learning environment for children from birth to school-age at sessions from 9am to midday on Mondays, Tuesdays and Fridays during school terms. It operates as a family co-operative. Visits and inquiries are welcome at the centre or on 07 856 6603. The popular, monthly Tamahere Country Market, held on the grounds of the central Tamahere, Anglican, St Stephen’s Church, is also a community and social hub. Go to the Directory A-Z page for links to community groups, facilities and businesses in Tamahere. Statistics NZ brackets Tamahere with Tauwhare in census data. Click here for details on Tamahere’s people and lifestyle from the 2013 census. Below is a map of Tamahere today. Take a virtual tour by clicking the ‘view larger map’ link below the map. Then read on for the history of Tamahere and its people. Tamahere literally translated from Māori means a “bound boy”. Behind those words, however, lies the story of Mahinarangi and her husband, Turongo, the ancestors of the Kingitanga dynasty. Mahinarangi, to save her son Raukawa from drowning, tied him to her back as she swam across the Waikato River, near where the Narrows Bridge at Tamahere now stands. The tale of Turongo and Mahinarangi is one of the greatest love stories of Maori. The two main buildings at Turangawaewae Marae at Ngaruawahia are Mahinarangi meeting-house and Turongo, the ‘King’s House’ built by Te Puea Herangi and where the Kingitanga dynasty conducts many gatherings, including current King Tuheitia. Read more here in the National Library. Waikato-Tainui are tangata whenua (people of the land) of the Waikato region. Led by the chief, Hoturoa, the Tainui waka was one of the migratory canoes that voyaged from Hawaiiki across the Pacific Ocean to Aotearoa/New Zealand over 800 years ago landing at Kawhia where its anchor can still be seen today. Four principal iwi (tribes) comprise the Tainui waka – Hauraki, Ngati Maniapoto, Ngati Raukawa and Waikato. The Waikato-Tainui iwi are the kai-tiaki (guardian) of the Kingitanga. The Kingitanga was established in 1863 to unite iwi and halt land alienation. In the 2013 Census, 55,995 people in New Zealand indicated they were affiliated with Waikato-Tainui, with 34.5% of them living within the Waikato region. However, the Waikato-Tainui tribal register shows 64,500 members affiliating to 68 marae from 33 hapu. Tamahere falls in the rohe (tribal area) of Ngati Haua. Tamahere’s earliest person of note is Wiremu Tamihana, chief of Ngati Haua, the Maori Kingmaker. The most admirable character among all the high Maori chiefs with whom our pioneers came in contact in the adventurous days of New Zealand colonisation was the head of the Ngati-Haua tribe, Wiremu Tamehana te Waharoa, the King-maker, as he came to be called. He was the leading figure in the cause of Maori nationalism before the Waikato War; he was essentially a peacemaker, and had his plans for native self-government been adopted there would have been no war. So recorded James Cowan in The Story of a Patriot in the NZ Railways Magazine, June 1, 1934. Click here to read more. In 2013, on its 150th anniversary, the NZ Herald retrospectively named Wiremu Tamihana as its New Zealander of the Year for 1863. The first European settler of note at Tamahere was a Scot, Patrick Leslie. Patrick Leslie was legendary in Australia before he arrived with his family in New Zealand. He and his brothers, sons of the ninth laird of Warthill and eighth of Folla, were the first settlers of the Darling Downs, later to be part of Queensland. 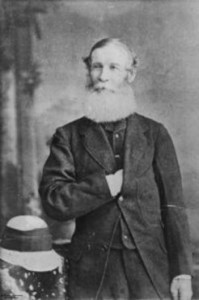 He arrived, via Britain, with his wife Kate and several children in Auckland on October 20, 1868. By November 5, 1869, Leslie had bought the first parcel of land at Tamahere that was to become the grand Wartle Estate, named after the family lands in Aberdeenshire, that would eventually cover a total of 1544 acres (625 ha). 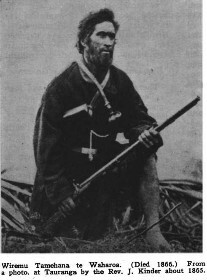 He was known as the Father of Tamahere. Click here to read more of Patrick Leslie’s legacy in Tamahere. In the book, The Maori King, Sir John Eldon Gorst describes the Waikato, including Tamahere, at the turn of the 20th century. Horotiu is a perfectly level plain of light rich soil, with a gravelly subsoil, extending inland from both banks of the river. Detached clumps of trees dotted all over the plain give it a beautiful park-like appearance, while the land between is covered with cultivations and villages, the chief of which is Tamahere, where Wiremu Tamihana was born and where he has large estates. This is the general gathering-place of the [Ngati Haua] tribe. Large crops of wheat were grown in this district in the season preceding the outbreak of the present war, and the English grass and clover, which has spread over the plain, has turned it into an excellent grazing ground for cattle, horses, and even sheep, which several Ngatihaua chiefs were beginning to keep. Click here to read more about historic Waikato. For a history of Ngati Haua click here. A few years later, the Cyclopedia of New Zealand describes Tamahere, now well settled by colonists. Tamahere is on the main road from Hamilton to Cambridge, at the junction of the road leading on the one hand from Tauwhare and the railway station, and on the other to the Narrows Bridge. It is a flourishing farming settlement, and there is a creamery belonging to the New Zealand Dairy Association situated close to the railway station—a flag station on the Ruakura Junction-Cambridge branch, distant ninety-four miles from Auckland, and standing at an elevation of 172 feet above sea level. The local governing body is a road board, and the district is within the Waikato County. The Cyclopedia mentions many of Tamahere’s early settlers including Aston Thomas Foxhall Wheeler, Joseph Barugh, Arthur Furze, Andrew Ramsay, Edward Rhodes, Priscilla McChesney, James Harvey Johnston, John Smeaton Blackmore, George Care, Albert William Day, Cornelius Day, Charles Ewen, Alexander Davidson Milne and Joseph Alexander Milne, Rasmus Petersen, George Way, and Henry Reynolds. There is considerable detail on each. Click here to read more. An excerpt from the Waikato Times of October 9, 1884 describes a train journey to Cambridge through Tamahere. The land between here [Mangonui] and Tamahere is very swampy, but only to the extent of a few acres on either side. It was expected that Tamahere would be accommodated with good station buildings; but the Public Works Department has evidently thought differently, and a station of the orthodox salt-box pattern has been provided. Good cattle yards have, however, been erected for the convenience of the settlers, and we think that before long the Department will find necessary to appoint a stationmaster to look after the accommodation of the public in this quarter. Read on for more detail of early Tamahere and surrounds. Sad fatality at Tamahere, read the Waikato Times headline. ‘Camp’s Hotel destroyed by fire,’ recorded a second headline. ‘Two children burned to death,’ reported a third. The newspaper is dated Tuesday, March 17, 1885. In 1885, shortly after midnight on Saturday, March 14, fire claimed two young lives – those of Albert Montagu Camp, 10, and his 3-year-old brother Edward Hewitt Camp, sons of hotel owner James Thomas Camp. Click here to read more about a tragedy that pre-dated the fatal Icepak Coolstores Fire of 2008 by 123 years. Another online reference records the origins of Tamahere’s Bollard Rd – named after the early 20th Century Cabinet Minister, Richard Francis Bollard. 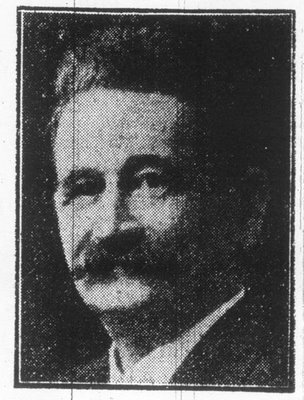 Bollard, who hailed from Avondale, Auckland and farmed at Tamahere, became chairman of the Waikato County Council and was the first MP for Raglan after the electorate was constituted in 1911, as detailed on this blog devoted to the history of Avondale. Bollard died of pneumonia in 1927 and an obituary in the Auckland Sun noted that he was appointed Junior Government Whip in 1918 and Senior Whip in 1919. From that office he was promoted to cabinet rank as Minister of Internal Affairs in 1923. Mr. Bollard was in his youth a keen sportsman, particularly interested in cricket and rifle shooting, but he was a fine pheasant shot also. Only recently the Otaki Maori Racing Club elected him a patron and the Wellington Trotting Club in his honour recently put the Bollard Handicap on the programme for the spring meeting. The Bollard family have been closely associated with Anglicanism and the late Minister of Internal Affairs was a lay reader in the Tamahere Anglican Church. For the origin of the names of other Tamahere roads, click here for explanations compiled by the Cambridge Museum. For example, Pencarrow Road – “John and William Martyn from Cornwall named their 2,000 acres at Tamahere, ‘Pencarrow’ in 1866 and they developed this into a first class farm. There were two homesteads with orchards, gardens and trees. The farm was grassed and stocked with sheep, cattle and horses. ‘Merrylegs’ was their trotting stallion and ‘Black Champion’ their draught stallion – both renown for improving the breeds in the district. The site for St Stephen’s church at Tamahere was a gift from John Martyn junior [of Pencarrow Estate] and the foundation stone was laid September 18, 1882, also records the Cambridge Museum. John Martyn was the first to be buried in the grounds 11 September 1888 and later Cornelius Day donated another acre as a burial ground. William Australia Graham surveyed the cemetery and set out the grounds with trees and shrubs. The huge rhododendron remains today. The graves of nearly all the local pioneers are in this churchyard. Click here for records of who is buried in the Tamahere cemetery. The first St. Stephen’s church and adjoining cemetery were consecrated in 1891 and that church served the local community until it was destroyed by fire in June 1970. Click to read more. Supermarket pioneer Wynn Abel (1911-1995) was a Tamahere resident from 1968 to 1989, owning with wife Jean, Malabar Farm on Airport Rd. On November 29, 1961, Abel’s Supermarket opened in the suburb of Hillcrest; it was one of New Zealand’s earliest supermarkets, and Hamilton’s first. At Tamahere, the Abels bred thoroughbred racehorses and owned several winners, the most notable being Van der Hum, who won the Melbourne Cup in 1976. Click here to read more about Wynn Abel. 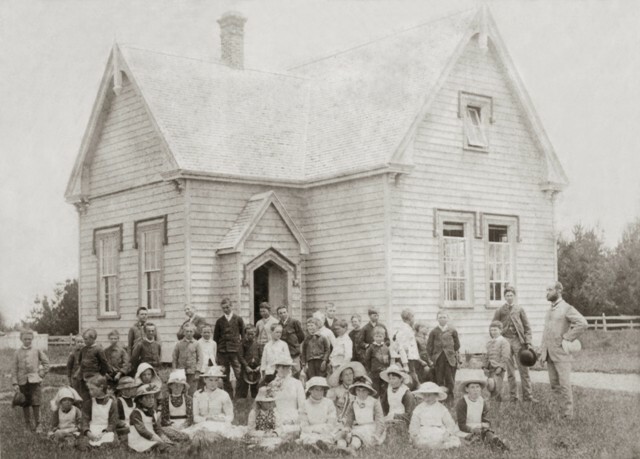 For more recent Tamahere history click here. * Other online references to Tamahere will be included here as they become known. Please pass on any you are aware of. Click here to email Tamahere Forum moderator Philippa Stevenson.